Having an active lifestyle brings a world of benefits to the practitioner. From a longer lifespan to younger skin and more long-term comfort, there are literally no downsides from incorporating physical activity and a healthy diet in one’s routine. Much like a sports car, the human body requires the perfect fuel because it performs at full capacity, and a better fuel to pump in than crystal-clear water. 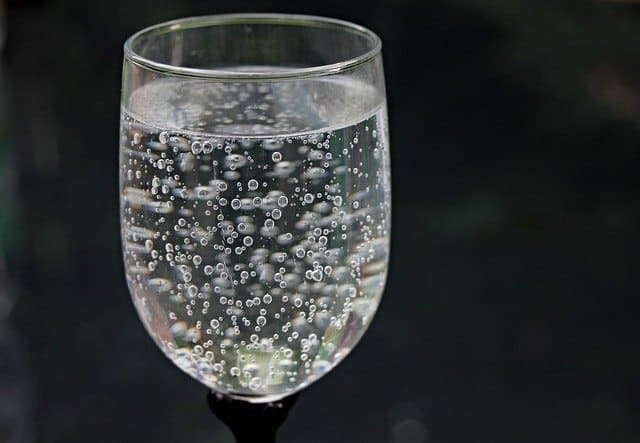 Providing that, water makes up for most of our body mass, and activities can put a big strain on one’s water supply, therefore it’s important to have some handy to replenish the deficit. As previously stated, the quality of the water must be on par with a premium type of fuel (metaphorically speaking). 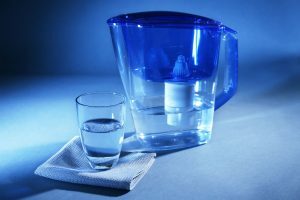 Filtering water is the most efficient and easiest way to ensure that one’s water is safe to consume all the time. 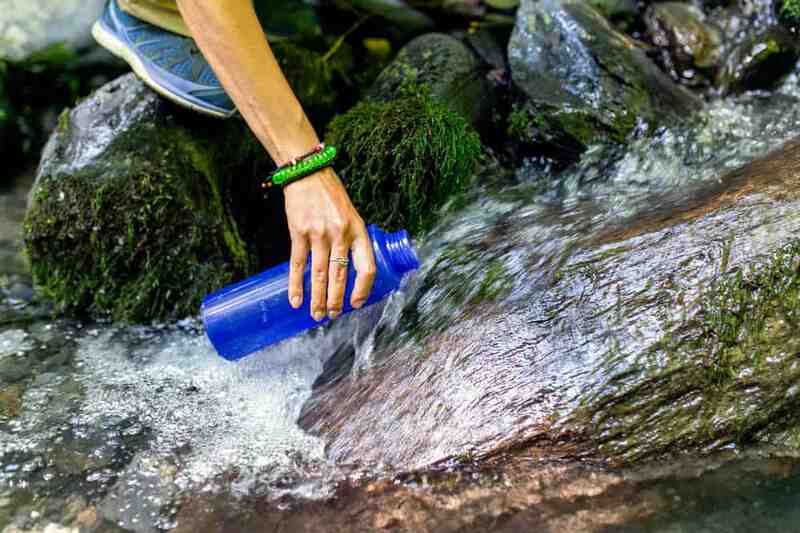 With that in mind, let’s take a look at the Refresh2go Milestone Filtered Water Bottle and discuss some general guidelines on what makes a great water container. So, let us see if this reusable filtered water bottle has what it takes to become the daily tank for a hard-working man or woman. This water bottle is available in various colors which include gray, pink, purple, and royal blue. 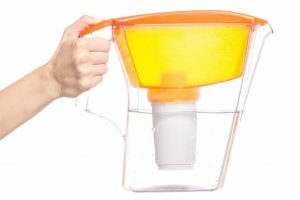 It has a total capacity of 34 ounces and is equipped with a filter that can help reduce chemical odors and taste found in municipal water. 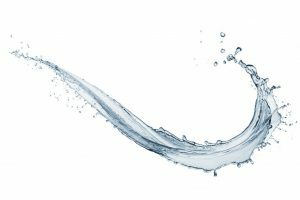 Conversely, while it doesn’t have the most negative effects on the overall health of an individual, chlorine does tend to negatively affect the water’s taste. With that being said, it means that an active person will find it hard to consume his or her daily fluid intake without seeking bottled water, which is wasteful and harmful to the environment. The same thing applies to sodas and sugary beverages, which are also a health hazard. Therefore, what does one want in a daily, reusable water bottle? Well, the first thing that comes to mind is for it to work as intended. By using a coconut active carbon filter conveniently placed on the straw, this item has the capabilities of drastically reducing the amount of chlorine present in tap water. 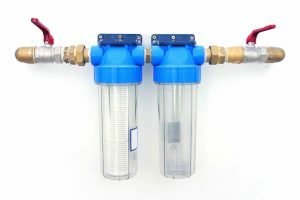 The filter is rated to work for up to 40 gallons or a couple of months, meaning that swapping it doesn’t have to be a pressing priority. The number one asset that a filtered water bottle brings is the convenience, and the Refresh2go Milestone Filtered Water Bottle does perform beautifully when compared to other market solutions. Notably, this bottle is designed to last. The BPA-free plastic is tough to crack, and all of the fittings are air-tight and have their own rubber seals, meaning that this particular filtered water bottle is drip-proof. Furthermore, the BPA-free feature is a step forward from drinking bottled water since some inferior brands use unsafe bottling methods to cut down on production costs. The mouthpiece of this water bottle could use some improvements in future models. Although, it’s effective and safe to use, it is made using the same hard material that went into designing the lid, making it a bit uncomfortable. A food-grade silicone option would definitely improve the item as a whole. On the same note, the mouthpiece has to be in a certain position to prevent air bubbles from forming. Therefore, this can get annoying, but it’s something that anyone can get used to and practice on a daily basis. The clear-plastic body is graded for 1000 milliliters or 34 ounces, making it very easy for a person to keep track of their daily intake. Hence, both adults and children require copious amounts of water in their diets to contribute towards a healthy diet and lifestyle. A common problem with filtered water bottles is the straw, and this product is no different. While it’s a very efficient way of ensuring fast filtering capabilities, there’s a real downside to this type of technology. Admittedly, sipping tends to be more uncomfortable as it requires more effort than using a normal straw or bottle. Although, it’s really not hard to get caught up in the hype while reading such materials. 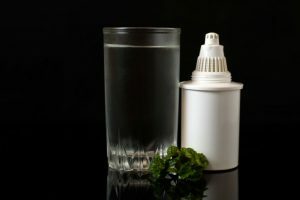 With this, in the spirit of fairness, let’s take a look at another item that comes from a reputable manufacturer and see just how well does the Refresh2go Milestone Filtered Water Bottle performs when pitted against another similar product. 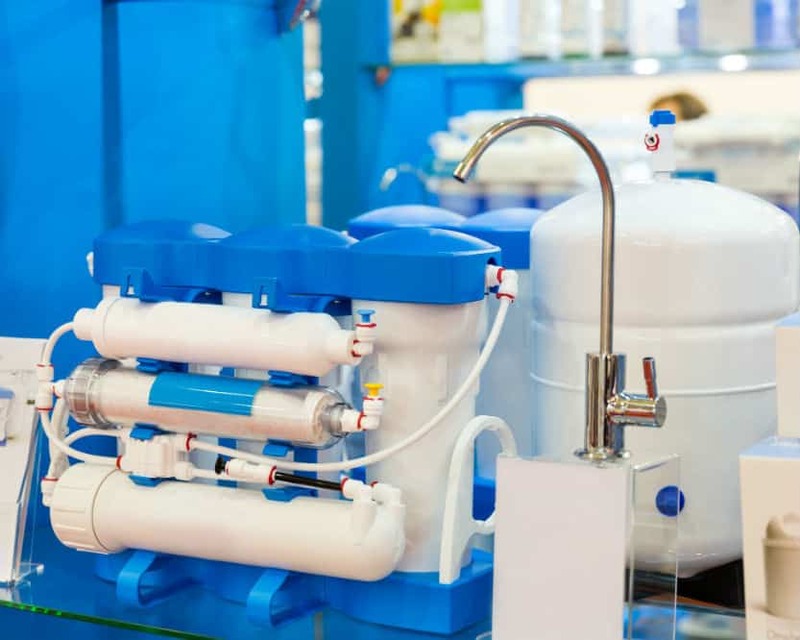 Brita is a well-known name in the water filter industry, wherein quality and tradition are two of its main traits. 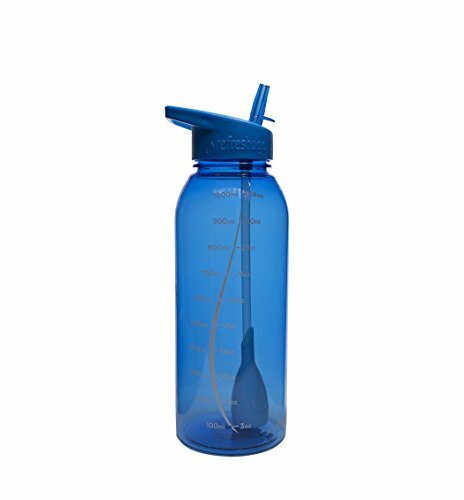 The Brita 23.7 ounce Filtered Water Bottle is, in many aspects, very similar to the Refresh2go Milestone Filtered Water Bottle. In a like manner, it is also made of BPA-free material and is dishwasher safe. In other words, while the capacities are different, personal preference should determine which one is better in this aspect. That being said, the one from Refresh2go is superior in many areas. 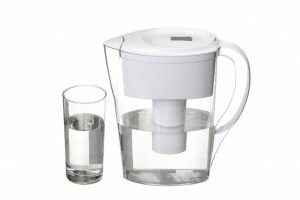 Leaking is a big problem with a lot of filtered water bottles present, and the Brita 23.7 ounce Filtered Water Bottle is among those items. 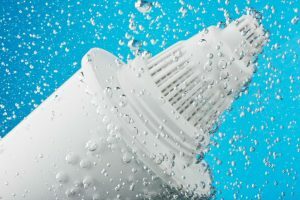 Besides, having a leaking water bottle causes problems with storage and limits its use greatly. In addition to that, the filter present in this water bottle isn’t as effective at filtering taste and odor, making it a more inferior product. Is the Refresh2go Milestone Filtered Water Bottle perfect? Indeed, it is definitely not, since the mouthpiece could be improved and designed to be more comfortable. Likewise, a bigger filter might even help improve the water flow. That being said, with an air-tight and durable design, as well as a graded see-through body, the Refresh2go Milestone Filtered Water Bottle is one of the most convenient means of having a constant water supply while on the go. Granted, with a very efficient filtration system, it is a very cost-effective and reliable solution to potable water. As a final point, it’s a beautiful concept executed with precision and confidence. Therefore, the filter is long-lasting, the capacity is high, and the user will surely be well-hydrated.